Born in Nashville, Tennessee, O’Charley’s has served crave-able American food and drinks inspired by our Southern roots in a relaxed atmosphere with genuine hospitality since 1971. O’Charley’s operates over 190 restaurants in 17 states in the Southeast and Midwest, including over 180 company-owned O’Charley’s restaurants and 7 restaurants operated by franchisees and joint venture partners. 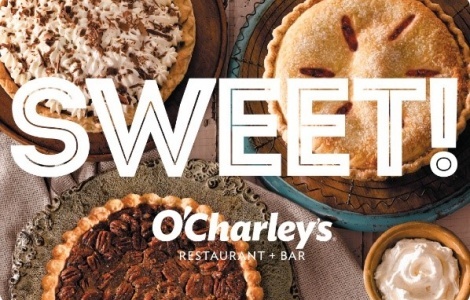 To find an O’Charley’s location near you, please visit www.OCharleys.com. No fees. No expiration dates. This card is issued by OPI, LLC and can be redeemed at any O’Charley’s location. Protect this card like cash. Card is not replaceable if lost, stolen, damaged or destroyed. Not redeemable for cash except where prohibited by law. Additional value can be loaded at any O’Charley’s location. For balance inquiry, call 1-888-716-7830 or visit www.ocharleys.com.